When Charli sleeps, she has dreams….but not your run of the mill type dreams. The images that occur in her night sleep appear to be talking directly to her. Not only that, but the dreams are helping her solve crimes. Unfortunately, these illusions aren’t straight forward and Charli must use her noodle to figure out what they mean. When a mysterious death occurs in a swampy area of the county, Charli’s friend Elle is tasked with the case for an insurance claim. Elle is aware of Charli’s dreams, but isn’t sure if they should use the information or chuck it. 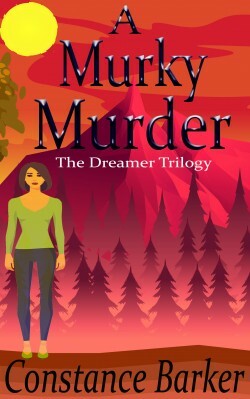 However, Charli is sure her dreams are pulling her towards answers, not just for criminal activity, but something hidden in her background as well.